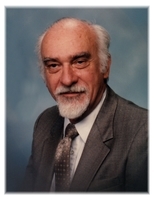 Provide comfort for the family of Edward Hope with a meaningful gesture of sympathy. 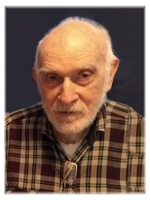 Edward Monroe Hope went to be with the Lord on Sunday, March 10, 2019 at the age of 93. The son of Anderson Monroe and Anna (Sullivan) Hope, Edward was born on April 4, 1925 in Doniphan, Missouri and he grew up attending schools in that the area. Edward joined the United State Navy and served as an Electrician Mate Class 2 during World War II. After his honorable discharge, Edward met and married Mary Lou Gilmer and together they raised three sons. After Mary Lou’s death, Edward married Glyna Faye Nash. He worked in Quality Control at Tinker Air Force Base until his retirement after 30+ years of service. He owned several rental properties as well. 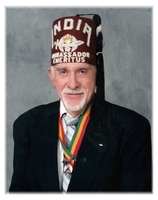 Edward was a longtime member of Knob Hill Baptist Church and a member of the Del City Masonic Lodge and served as a Shriner. He will be missed. and many other family & friends. To send flowers in memory of Edward Monroe Hope, please visit our Heartfelt Sympathies Store. Provide comfort for the family of Edward Monroe Hope by sending flowers.